Scottsdale is a world-class city that has it all. With stunning mountain views and over 30,000 acres of protected land, it’s rich with natural beauty. There are countless options for outdoor recreation, including beautiful public parks, aquatic centers, and recreation areas. 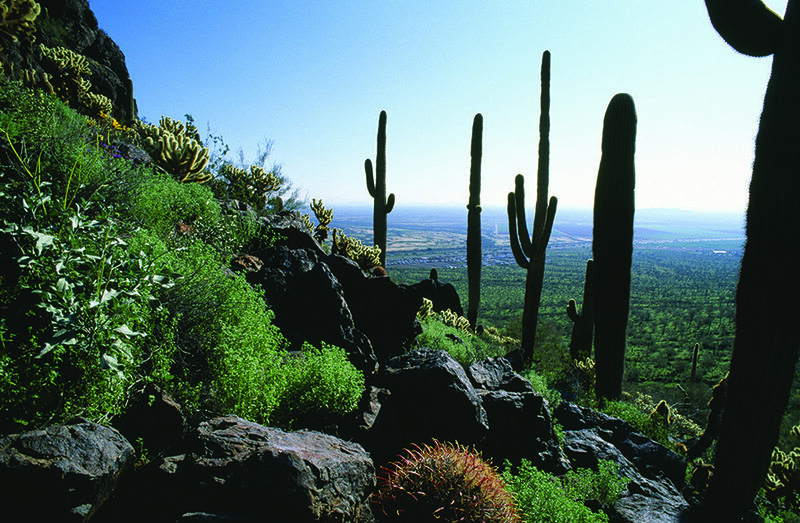 The entire city is surrounded by the breathtaking McDowell Mountains and Pinnacle Peak, offering scenic vistas and miles of hiking trails. It’s no wonder that Livability.com named Scottsdale as one of the 100 Best Places to Live in 2015. For ease of commuting in and out of Scottsdale, Scottsdale Municipal Airport is located in the heart of North Scottsdale. Surrounding the airport, is the Scottsdale Airpark, a business hub that’s home to hundreds of small and large companies, including the global headquarters of GoDaddy. The Airpark provides a wealth of resources for visitors and residents and contributes greatly to the overall economic climate of the Valley. The housing market in Scottsdale is strong, with an average price of $397,500 (2016). Great schools and an abundance of master planned communities greatly contribute to the city’s continuous population growth. Scottsdale Unified School District is one of the most highly regarded in Arizona, with 19 schools earning the State’s highest rating of “Excelling”. Residents also have access to highly ranked charter and private schools and the many state-of-the-art libraries spread throughout the city. For higher education, Scottsdale Community College offers an extensive selection of courses and programs. Equally impressive are the choices of top-rated hospitals and health care facilities, including Mayo Clinic and the HonorHealth system. More than 8 million people choose Scottsdale as a vacation destination each year due to endless options for entertainment, special events, and 5-star resorts such as the Fairmont Scottsdale Princess and Boulders Resort and Spa. Top attractions include Talking Stick Resort & Casino, Scottsdale Center for the Performing Arts and Taliesin West, a collection of buildings that has become a national historical landmark developed by famed architect Frank Lloyd Wright. For equine enthusiasts as well as car buffs, Westworld is home to the renowned Arabian Horse Show and the annual Barrett-Jackson car auction. The month of March brings baseball fans from all across the country flocking to town for Cactus League Spring Training, which is an incredible opportunity to see 15 different MLB teams in action. But if there’s one special event that draws people to Scottsdale, it’s the Waste Management Phoenix Open. Known as “The Greenest Show on Grass”, it’s the most highly attended PGA tournament year after year. Attendance in 2016 was a record-breaking 218,365! It’s always the perfect time of year to enjoy Scottsdale!